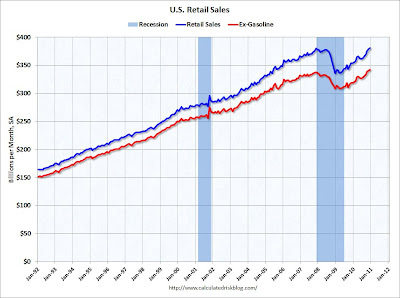 Retail sales came in this morning up .6% month over month for the important Christmas month of December. God bless the 30 percent of home owners who are not paying their mortgages, living housing free, and decided to spend that money on a new iPad this Christmas. 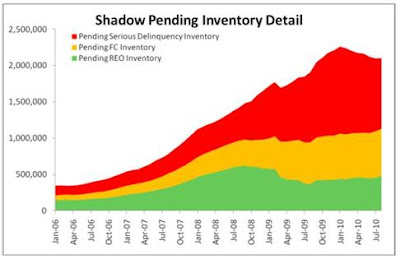 If the banks ever decided to foreclose on some of the current shadown inventory instead of holding it off the market, and Americans once again had a "cost of living" on their expense column, we might see a different monthly number for retail sales. We also may see a different number for the median price of a single family home. In the meantime just enjoy the high stock prices, high home prices, and the new American miracle economy.